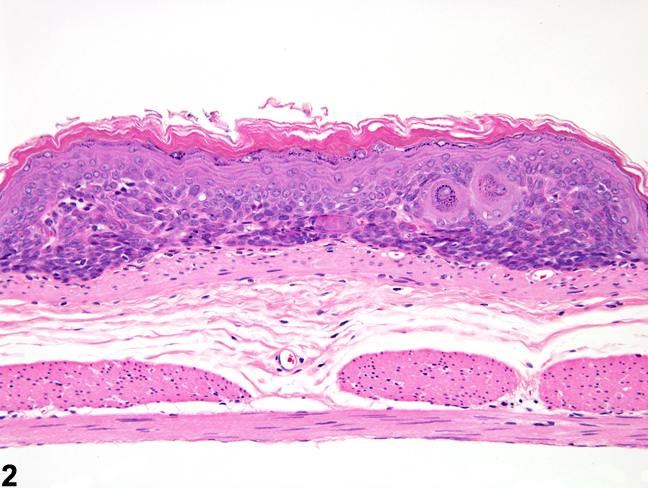 Stomach, Forestomach, Epithelium - Hyperplasia, Atypical in a female F344/N rat from a subchronic study. Focal epithelial hyperplasia with large, atypical cells is present. Stomach, Forestomach, Epithelium - Hyperplasia, Atypical in a female F344/N rat from a subchronic study (higher magnification of Figure 1). Focal epithelial hyperplasia with large, atypical cells is present. Some chemicals cause atypical hyperplasia of the forestomach that is characterized by hyperplasia and disorganization, abnormal keratinization, or the presence of abnormal cells ( Figure 1 and Figure 2 ). 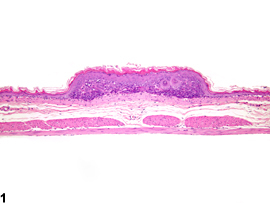 The distinction between early squamous cell carcinomas and focal atypical hyperplasia can often be difficult. In atypical hyperplasia there is no invasion beyond the basement membrane, whereas carcinomas have irregular cords or clusters of cells that extend deeper into the submucosa. 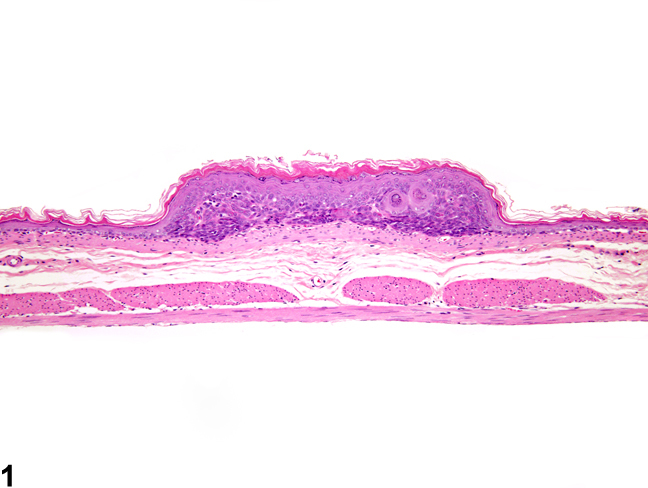 With hyperplasia, even with marked atypia at the deep aspect of the lesions, there remains some degree of orderly maturation.